Malnutrition in Africa is at present one of the leading causes of mortality among children under five. Data indicate that malnutrition including intra uterine growth restriction, stunting, wasting and micronutrient deficiencies contribute to up to 45per cent of all child deaths in Africa. 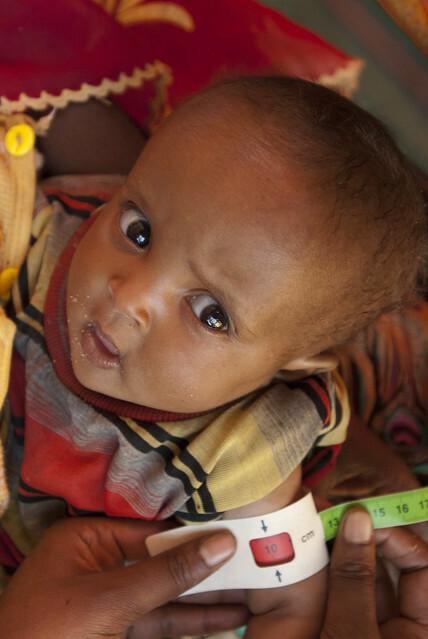 In sub-Saharan Africa, 40 per cent of children under 5 years of age are stunted. Food and nutrition security in Africa, in particular in Sub Saharan Africa has hardly improved over the last decade, despite many initiatives at global and regional level. 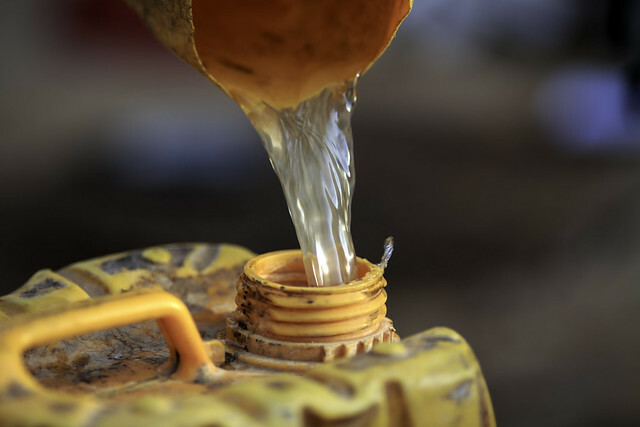 There are evidences that all global advocacy initiatives need country examples – champions that can show in practice, and not just in theory, how to achieve results when resources are scarce and the challenges are great. The European Union (EU) and UNICEF partner to improve nutrition security in Africa at regional level and in a total of four target countries Burkina Faso, Mali, Uganda and Ethiopia. 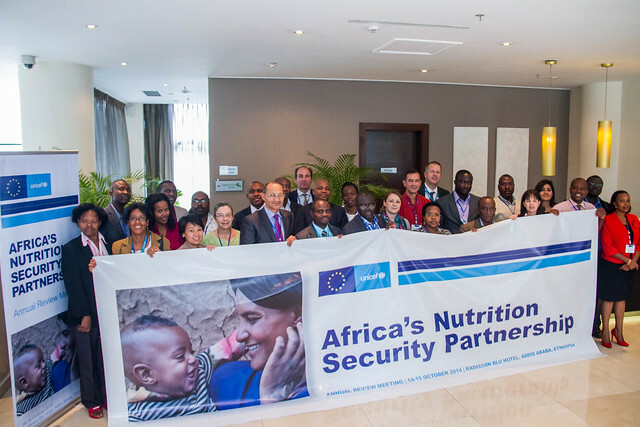 The Africa Nutrition Security Partnership (ANSP) programme that is being implemented in 2012-2015 is a multi-donor initiative of in total €21 million with the support from the EU amounting to €15 million. The programme aims at increasing the commitment to nutrition in terms of policies, budgets, and effective programming and implementation. 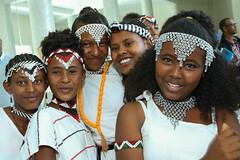 The programme fosters high-level policy engagement to nutrition at continental, regional and national levels and contributes to scaling up of high-impact nutrition interventions in the four target countries by integrating nutrition goals into broader health, development and agricultural efforts. 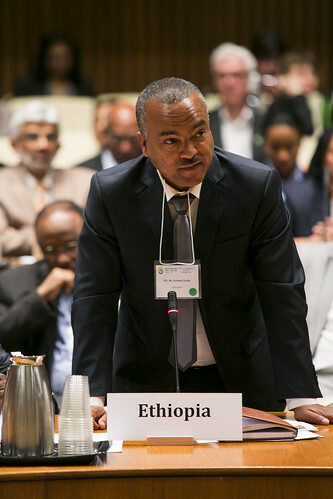 Ethiopia hosted the 3rd Africa’s Nutrition Security Partnership Annual Review Meeting from 14 to 15 October 2014. Participants from the government of Ethiopia EU, UNICEF as well as Cornell University from continental, regional and country level organisations discuss accomplishments, bottlenecks to implementations and sharing experiences and best practices among ANSP beneficiary countries. Good progresses is made towards the achievements of the ANSP objectives in all of the four ANSP result areas of policy, capacity, information system and programme scale up. It is clear that during the meeting, that ANSP is helping to improve the political environment for nutrition with strong continental, regional and national leadership, multisectoral coordination and joint accountability scale up community level nutrition interventions. 2015 will be the last year for ANSP support and partners must work to integrate the efforts being made with the local structures and systems to ensure sustainability. It will be very important to work on synergising continental level activities which aim to create enabling policy environment with community level programmes to scale up key high impact multisectoral nutrition interventions. 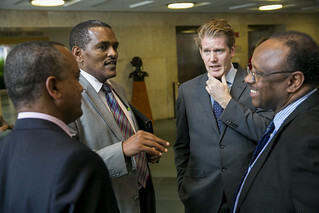 The meeting emphasised, the support for nutrition in Africa should continue within the framework of the Post 2015 Nutrition Action Plan. 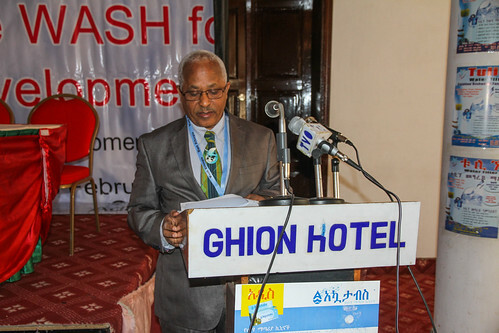 On the 4th and 5th of February, 2014 the Ethiopia Water and Sanitation (WASH) met at the Ghion Hotel, Addis Ababa, Ethiopia for the 6th Annual Multi-Stakeholder Forum with the theme of “Innovative One WASH for Sustainable Development”. 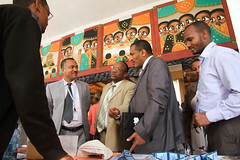 It was a huge event with about 500 participants from Government, NGO, private and donor sectors. The event was graced by the presence of Excellency Federal Minister of Water Irrigation and Energy, Ato Alemayhu Tegene, Excellency State Minister of Water Irrigation and Energy, Ato Kebede Gerba, Excellency State Minister of Education, Ato Fuad Ibrahim and Excellency State Minister of Health, Dr. Kebede Worku. 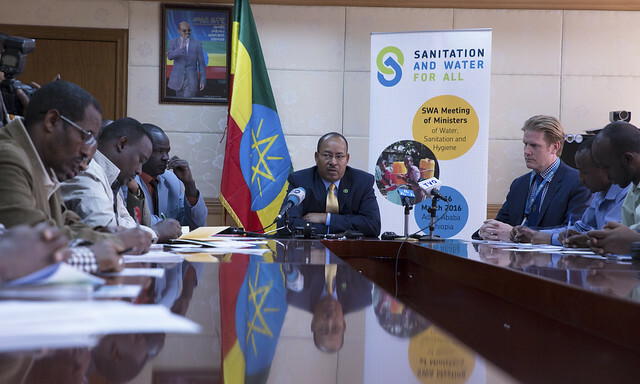 Among the many discussions the ONE WASH Sector Wide Approach dominated the discussion. The participants agreed more focus is needed on urban WASH and sustainability monitoring and UNICEF and WHO need to provide a measurement of where the country is pre 2015 Millennium Development Goals. 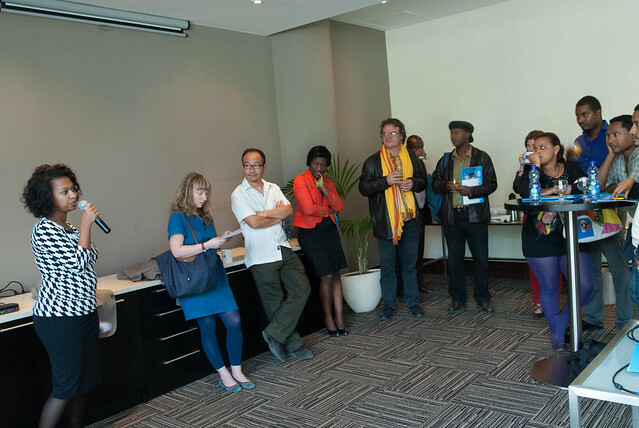 ADDIS ABABA, 16 January 2014 – Today, UNICEF’s Media and External Relations Section has organised the first quarterly media get-together to interact with local and international media. A total of 20 media partners attended this first informal meeting. 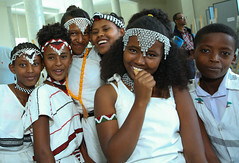 Since its establishment 1952, UNICEF Ethiopia has maintained good relations with Government, bilateral donors, development partners and civil society, including media in Ethiopia. 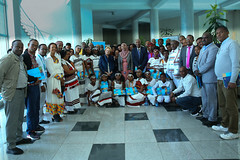 Its capacity to ensure that development work straddles at the national and community levels makes UNICEF, a unique partner among development agencies and resourceful agency for the media. 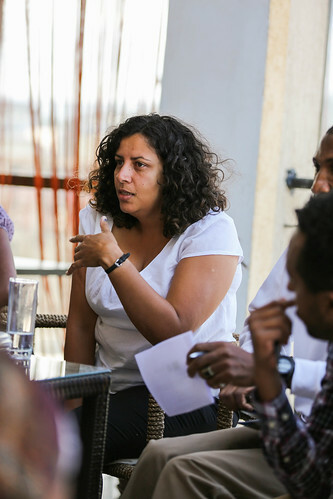 In addition the Media and External Relations Section facilitates individual interviews with specialists and experts on different programmes in different languages including: English, French, Arabic, German, Swahili, Dutch, Italian and many Ethiopian local languages. We also organize media round tables with senior staff and programme specialist and respective government officials and partners on different topics affecting women and children. Regular media field visits will continue to be organized to visit UNICEF supported project site in Addis Ababa as well as in the regions. 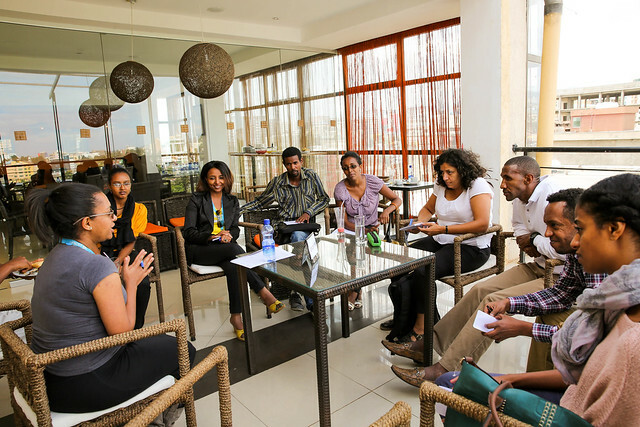 Furthermore, media training opportunities for Addis based and regional based media will be intensified in 2014. 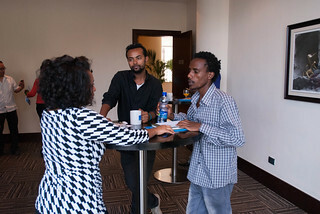 While the group was enjoying drinks and snacks, a discussion took place with regard possibly organising a media debate on development issues and how agencies like UNICEF can help journalists and media in general to draw their attention from reporting war and ‘blood’ to ensure a more balanced coverage and positive reporting on and developmental issues such as health, nutrition and other interventions that save thousands of lives. The UNICEF media section asked the media to provide suggestions and feedback on how best to ensure real partnership and collaboration in 2014 and beyond. If you were not able to attend, please do let us know in person, by email or phone.